Ms. Westberry has been with the Prairie School since its beginning. She has a BA from the University of Connecticut, and she is a certified Montessori teacher (from the New England Montessori Teacher Training Association, in Cambridge Ma.). Liz was a Lead teacher and a Science teacher for 6-9-year-olds in schools on both the East coast and locally. She has been teaching for over 20 years. 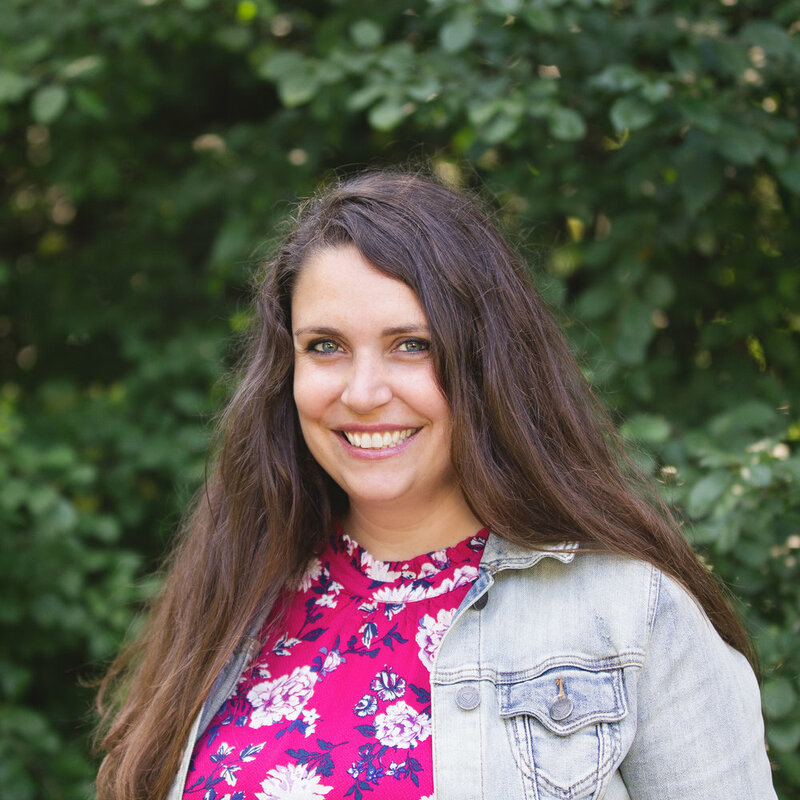 Liz served on the Connecticut State Board for Alternative and Homeschools and has written a published guide to curriculums and resources for homeschoolers. Liz is an avid learner and enjoys staying up-to-date taking personal development classes. Most recently taking an Outdoor Education and Risk-Management class (with AMC), multiple seminars on Writer's Workshop, A NSTA seminar on aligning science practices with NGSS, many classes on using Citizen Science projects to further scientific study, and a seminar with the Writing Revolution, a method for teaching writing systematically across subjects. A few of Liz’s many credentials include: Birding Ambassador (through Cornell School of Ornithology), Nature's Notebook facilitator (for the study of phenology), and a Kamana Certified Naturalist. She is also a Master Gardener, a long-time 4H leader, and has worked with the exchange program AFS as a liaison coordinator. She is the mother of three, ranging in age from 14 to 31 and recently became a grandmother! Liz loves to take students outside to learn, especially when there are cool things to spot! (birds, bugs etc.) Her biggest claim to fame is being the owner of Roxy the Papillon, the official Prairie School Greeter! Ms. Olson has worked with young children for over 15 years, both in the classroom and in museum and nature-based settings. Her first role at Prairie School was Lead Primary Teacher, where her passion for sharing the natural world with children, and belief in the power of unstructured outdoor play was solidified. Ms. Olson became a certified Forest Kindergarten Teacher through Cedarsong Nature School in 2017 and recently completed Outdoor Play Training through Okanagan College and the Canadian Child Care Federation. She is thrilled to be leading Prairie School’s Forest School class and looks at each day as an opportunity to get muddy, climb trees, build forts, run through the grass and PLAY! Ms. Olson holds a BA in Art from Illinois State University and an MA in Teaching from National Louis University. Ms. Olson is a member of the American Forest Kindergarten Association and Northern Illinois Nature Preschool Association. She is also a Certified Interpretive Guide, through the National Association of Interpretation, and a Growing Up WILD Curriculum Facilitator, through the Council for Environmental Education. Ms. Olson lives in Wheaton with her husband Brett, son Tyler (in the Middle Elementary class) their two cats George and Lou, and their dog Annie. She is an active volunteer in the community and enjoys reading, learning about local history, being with family and of course, spending time outdoors. Ms. Brann loves sharing her passion for mathematics, engineering, and art with her students. She holds an M.Ed. in Science, Technology, Engineering, Arts, and Mathematics (STEAM) Education from the University of San Diego and a BS in Packaging Engineering from Michigan State University. Prior to teaching, Ms. Brann held engineering management positions in the electronics, pharmaceutical, and cosmetics fields. She has been teaching mathematics courses since 2016. Throughout her twenty years as an engineer, Ms. Brann developed many award-winning creative solutions to scientific challenges and she brings that experience to the classroom. She believes that integration of arts into academic disciplines is necessary for developmentally appropriate, experience-based learning. Ms. Brann lives in Wayne Township with her husband Edward and her two sons William and Oliver, who attend the school. She enjoys jewelry making, painting, knitting/crocheting, needle felting, and camping. Ms. Massow has been a teacher in one capacity or another for a very long time. She began her teaching career as an assistant at a Montessori school and then transitioned to teaching in Chicago Public Schools for several years. After that, she chose to stay home to raise her children and during that time became certified in the Bradley Method of Natural Childbirth and taught classes to expectant parents for twelve years. When her children were older, Ms. Massow returned to teaching. While always a lover of the outdoors, Ms. Massow discovered her love of sharing nature with her students while teaching at a nature-based preschool in Naperville. Ms. Massow is thrilled to join the Prairie school community and looks forward to spending as much time outside with her students as possible! Ms. Massow has a BA in English from the University of Illinois in Champaign-Urbana and an MA in Teaching from Roosevelt University. Ms. Massow is a mother of three young adults, Timothy, Daniel, and Audrey, whose ages range from 18-22. She lives in Naperville with whichever kids are home from college, her husband Scott, and their cat Cashew. In her free time, she enjoys reading, baking, and of course, nature walks. William Goldsmith was the Forest School Assistant last year. This year, Will will be teaching Outdoor Education and Games, will continue to assist with the Forest School program twice a week and will lend a hand in EE and ME, as well! 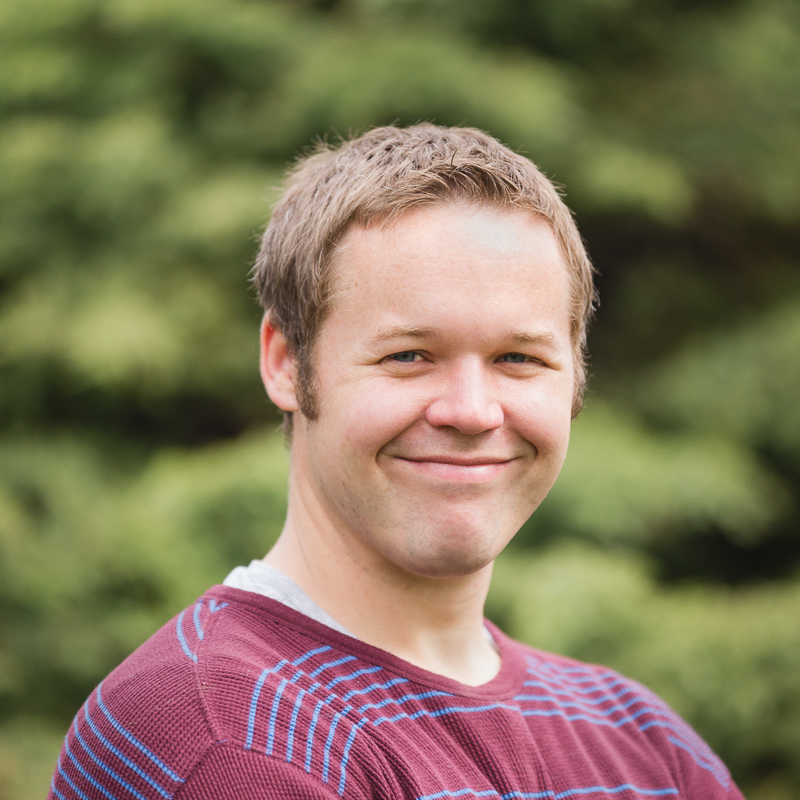 Will has a BA in Spanish and International Relations, and taught at the Porton de Naranjo Elementary School, when he was living in Costa Rica for a year. He recently attended an immersive course in Outdoor Skills and Nature Awareness Mentoring, at the Anake Wilderness School in the Cascade Mountains in Washington State. He is NOLS certified as a Wilderness First Responder. Will played many sports in both Elementary School and High School, with his favorite being Hockey and Basketball. He enjoys skiing, (both downhill and cross-country), snowshoeing, and skating. He goes camping as many weekends as possible, and loves backpacking and hiking. He recently started climbing with his sister, Carolyn, one of the first graduates of Prairie School! Will is looking forward to sharing his love of nature and outdoor activities with the students attending Prairie School. Kelin Fulkerson-Smith began her career working with children in 2008 in a Kindercare preschool class in Lexington, KY. She continued her work with children after moving to Chicagoland in 2009, where she worked with 2-year old through Kindergarten aged children at Kindercare in Elmhurst. Currently, she is in charge of the childhood programming and care for the children ages 0-18 years in her church in Clarendon HIlls. Ms. Fulkerson-Smith holds a BS in Psychology, as well as a Child Development Associate’s degree from Eastern Kentucky University. She is also certified in multiple Montessori-based programs that she uses in the childhood programming for her church. In her free time, when she isn’t caring for her own four children, Jena the dog, Skittlessss the corn snake, or Mikey the tortoise, she is an avid runner, hiker, and lover of all things outdoors! Ms. Fulkerson-Smith (aka, Ms. Kelin), is happy to join the Prairie School staff and enjoys the nature-based aspect of Prairie School very much. Lauren began her career in healthcare while working as a nurse's aide and eventually a unit secretary while studying physical therapy at Morton College where she earned her degree in 2007. Since then she has transitioned from a more traditional view of western medicine to that of a more holistic view, believing that proper exercise and nutrition are essential in maintaining a healthy lifestyle. Lauren enjoys spending time with her children and being outdoors, hiking, biking, swimming, bird watching, tending her garden and discovering nature. Lauren lives with her husband and 3 wonderful children along with their cat, two dogs, and two bunnies. Alyssa Maurer received her undergraduate degree from the University of Illinois where she studied visual arts. After graduating she went on to receive a second degree in graphic design from Columbia College. Alyssa spent the earliest part of her career specializing in branding, illustration and design in the music and performance art industry. As a freelance designer, she worked for such clients as the Chicago Symphony Orchestra, the Lyric Opera, Ravinia, Steppenwolf Theatre, Lookingglass Theatre, and the Shakespeare Theatre. After 3 years as a freelance artist, she took a full-time position with the Goodman Theatre where she served as art director for the marketing department for four years. Following her entrepreneurial spirit, Alyssa left the Goodman to form Tonic Design Studios, a graphic design and branding firm in Chicago. After building and running Tonic Design Studios for 15+ years, Alyssa began working in local schools to be closer to her young children, and in 2011, she co-founded Prairie School of DuPage. From 2011- 2015 she served as marketing and enrollment director, and visual arts instructor for Prairie School. She also served as School Director at Prairie School of DuPage from 2015- 2018. Today Alyssa is focused on creating a visual arts program at Prairie School that goes beyond just making art – one that inspires students to use their unique perspective of the world to make creative connections and tell a story – one that fosters experimentation, building on and learning from "what didn’t work out the way you thought it would" (ie: mistakes!) – and one that exposes students to many different artistic ideas throughout history and encourages them to stretch their own creative ideas beyond their perceived limits. Alyssa lives with her husband, two daughters, Buddy the dog and Fluffy the cat. When she has a free moment (besides making art) she also enjoys being in nature, reading, writing, singing, and learning new things! Emma is a Chicago native, passionate about performance and music education. She has worked with Prairie School since fall of 2017. She began her training as a member of the Chicago Youth Symphony Orchestra, and later earned her Bachelor’s and Master’s degrees in Viola Performance at the University of Illinois Urbana-Champaign and Chicago College of Performing Arts. She was also a recipient of the Edward J. Krolick String Award – a full-tuition scholarship. Emma studied strings pedagogy at the IU Summer Strings Camp run by Mimi Zweig (Faculty, Indiana University), and has studied Suzuki teaching methods at the Chicago Suzuki Institute in Deerfield. Emma works with private students of all ages at Noteable Notes, Lyons Township High School, and Urban Prairie Waldorf School. Emma’s performance experience currently includes Peoria Symphony, Rockford Symphony, and Chicago Composers Orchestra, as well as various chamber music performances throughout Chicago. “Ms. Cathy” has taught music at Prairie School of DuPage since 2014. Prior to this position, she taught comprehensive music for over 8 years in Community Consolidated School District 15 in Palatine. She received her BA in Piano Performance and her MA in Instruction from Saint Mary’s University in Winona, Minnesota. Catherine has studied piano, organ, and voice, and has extensive choral and band experience. She is a solo performer and an accompanist who plays the organ at St. Joseph Parish in Downers Grove. Catherine has attended many classes and workshops which emphasize the Kodaly method of teaching music. She enjoys watching her students respond enthusiastically to this fun and engaging curriculum. Catherine lives in Wheaton with her husband and two sons. Kris is a certified YogaKids instructor. YogaKids classes adapt traditional yoga poses to make them fun and age appropriate. Music, movements, stories, and non-competitive games will be incorporated into the classes. Kris has been practicing yoga since 2001. After graduating from Michigan State University and working in the corporate world she found yoga helped to reduce stress and live for the present moment. After the birth of her “yoga twins” she decided to pursue a teaching career in something she loves – YOGA! She is certified through the YogaKids program as well as the 200 hour teacher training through Prairie Yoga. She has worked as a mentor for the YogaKids program, guiding future teachers though the training process. She has been teaching to yogis of all ages and abilities for over 10 years. Kris’ YogaKids classes promote well-being, creativity, self-esteem, strength & flexibility. She also teaches relaxation techniques to create inner calm. Yoga helps children learn to stay grounded and ease their way through daily stresses. Kris loves that yoga connects mind and body for a natural state of fitness. Yoga simply just feels great! Will Ham has been teaching languages for 20 years and is certified in Spanish, French and German with master's work in Spanish. In addition to the languages above his family's home language is Italian as well as English. He has traveled widely in Europe, South America and Asia. Will is excited to share his love of languages with others in a conviction that we are all neighbors on this planet. He lives in Warrenville with his family and enjoys nature, reading, volunteering and meditation. Nancy retired from The College of DuPage (COD) Early Childhood Center a few years ago as Master Teacher with the Preschool Program. She keeps busy with children and adults by being a nanny and teaching ECE courses at a Jr. College. Nancy and Michelle were co-teachers at COD and are happy to be back together providing children with experiences in woodworking! Their philosophy in learning mirrors Prairie School by giving children opportunities to explore materials, be creative and layer on their skills. The first few weeks will start with hammering and drilling materials and build to simple construction. They both value allowing children to take the lead and facilitate their ideas. Michelle Grandaw is very excited to be joining the staff at Prairie School of DuPage this year. She has been an Early Childhood educator for the past 18 years, the last 10 at College of DuPage. In addition to teaching, she attends workshops throughout the year to stay current with policies as well as learning and teaching practices and to network with other professionals in the field. Over the years she has co-presented at a variety of workshops. These workshops included several on Process vs. Product Art, Literature and The Importance of Block Building. She lives in Aurora with her husband and two cats, one’s a sweetheart and one not so much! Together they have four children and six grandchildren. In her spare time, she enjoys gardening, reading, scrapbooking and traveling. Rikki has been part of the Prairie School community since 2013 and is the mother of two boys who attend Prairie School. She has a passion for conscious parenting, natural health, and simple living. Having always been interested in behavior and an avid observer of all creatures, Rikki earned her Bachelor of Arts in Psychology at DePaul University in 2005. 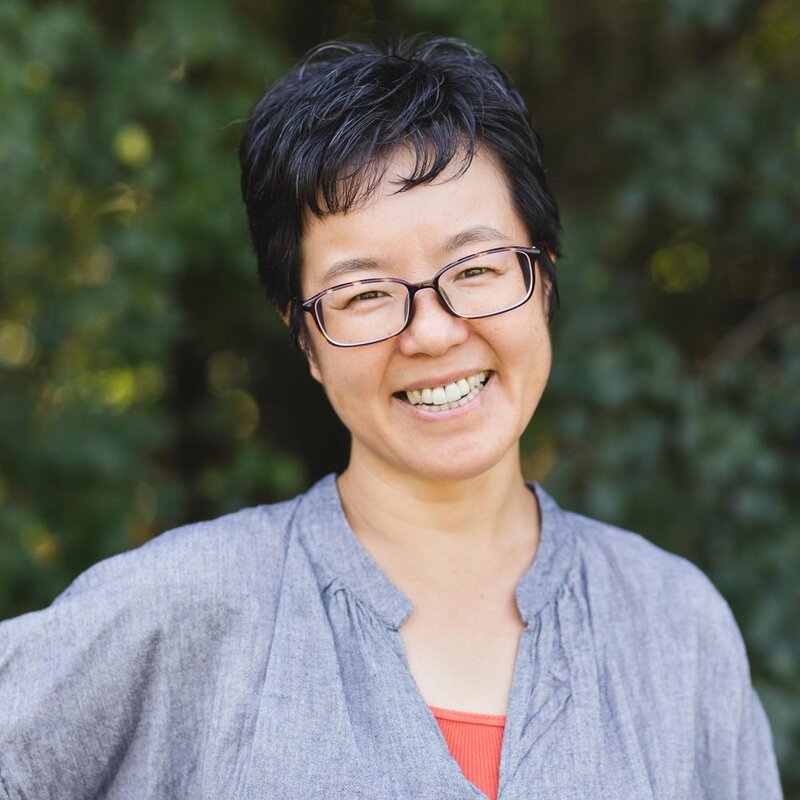 In recognizing and learning more about the mind-body-spirit connection, her studies have expanded to include holistic ways of healing and navigating life. She earned her Certificate in Massage Therapy in 2009, and has been an IL licensed Massage Therapist since. Rikki has been part of the Prairie School staff since 2015, and is grateful to be a part of a team that is truly dedicated to the children it serves. She cares very much about guiding children to always show kindness and to respect all things. Through having the privilege of professionally providing childcare, being a part of the Prairie School community, and raising her children, Rikki has begun an adventure - of heart-centered living and embracing the many lessons that our relationships provide. Ms. Stewart has worked with young children for over 12 years as a preschool teacher, special education paraprofessional, volunteer play facilitator, assistant director, and now as a member of the Prairie School Staff. Ms. Stewart is originally from Ohio, where she obtained a BS in Early Childhood Education from Wright State University. As a life long learner, Ms. Stewart enjoys reading about and taking courses on current topics in the education world and how they can be utilized and implemented in our school. As the former Assistant Director and Lead Teacher at a Reggio Emilia inspired preschool program, Ms. Stewart learned and continues to embrace the fundamental principles of this philosophy of education particularly the importance of collaboration (student to student, students and teachers/staff, teachers/staff and parents, and parent to parent), setting up environments so that they are organized for the people who use them, being an advocate for children, and seeing children as capable, curious, and full of knowledge about the world around them. Ms. Stewart lives in Naperville with her husband Robert, her son James (part of the Early Elementary class), and their dog Maddie (affectionately known as Pet Sister by the Prairie School students). She loves to make yummy desserts, can be found lost in a good book, and is always up for an outdoor adventure. Masako is one of Prairie School of DuPage’s earliest supporters. Her daughter graduated from Prairie School in 2017 and is now attending York High School in Elmhurst. Masako grew up and was educated in Japan for more than two decades before moving to Chicago. She received BA from Columbia College in Photography and Graphic design and worked for a photography and silkscreen company for many years. She loves art and enjoys spending her time knitting and woodworking.